This line is designed for recycling rigid crushed PP PE PS scraps. It is composed by SJ100 single screw extruder + SJ90 single screw extruder + hydraulic screen changer + water cooling tank + pelletizer + silo. 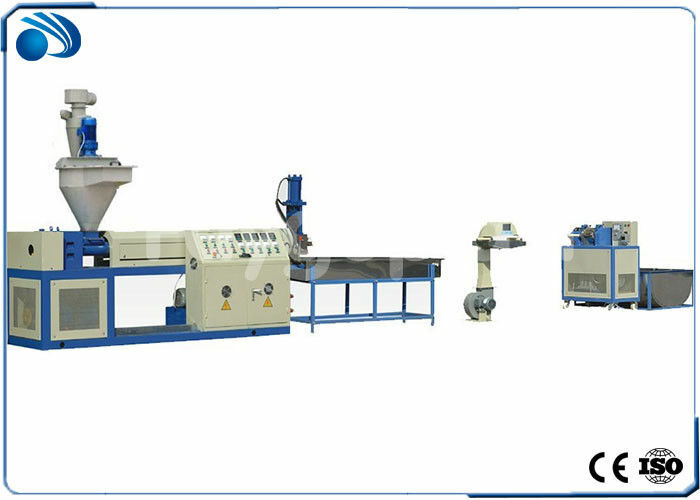 The extruder adopt double stage extruder for extrusion and the main Single screw extruder SJ140/28 equipped force feeder which can ensure the material feed into extruder smoothly. 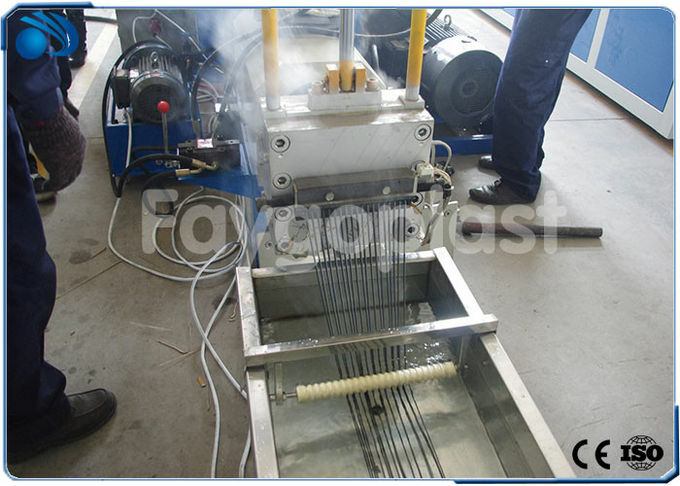 The hydraulic screen changer adopt double working posItion, which can ensure no-stop working. The water cooling tank is made of stainless steel and the length is 5m. The air blower is used to dry the water on the material and the pelletizing equipped speed regulator which can control the pelletizing speed. This line is highly automatic and it is very easy for operation. It is idea equipment for PP PE PS recycling.